Set in the heart of Devon Valley outside Stellenbosch, nestled amongst luscious trees, Clos Malverne certainly has one of the finest restaurants we’ve been to in the winelands. At the restaurant, we were lucky enough to sit on the wraparound balcony with completely unadulterated views of the mountains and vineyards. It was a stunning autumnal day, one of those balmy, perfect days where the sun is unobtrusively present in the clear blue sky. A perfect compliment to the cold glass of Clos Malverne Sauvignon Blanc Sparkling Brut we received as a welcome drink. I was pleasantly surprised by the quality and taste of this sparkling wine, which very steadfastly stands its ground against the big boy MCC’s that tend to dominate the South African market. Crisp, easy drinking, not too acidic and with a surprising depth of body. Well worth stocking up on at only R132 a bottle. Clos Malverne offers a variety of dining options including an a la carte menu, a gourmet five-course dinner, a three or four course wine pairing menu and, uniquely, an ice cream and wine pairing experience. Executive chef Michele Beirowski and her team of chefs delighted us with the three-course food and wine pairing. I enjoyed the light and fresh goats cheese and beetroot salad with its perfect balance between creamy and tangy, well paired with the Sauvignon Blanc 2017. However, it was the rabbit dish that was the highlight as this delicious meat is still very rare to find on menu’s in South Africa. The risk with rabbit is the fact that it can be dry if overcooked even slightly. However, my dish was moist, tender and perfectly seasoned – delicate yet so satisfying in its savouriness. The basket pressed Cabernet Sauvignon Merlot 2015 complimented it wonderfully. In addition to the destination restaurant, Clos Malverne also offers accommodation with a stunning swimming pool as well as an in-house spa. The units are well appointed and comfortable. Breakfast is not included as the restaurant is only open for lunch, but a delightful basked of breakfast treats were delivered to our door in the morning – we did not want for anything. 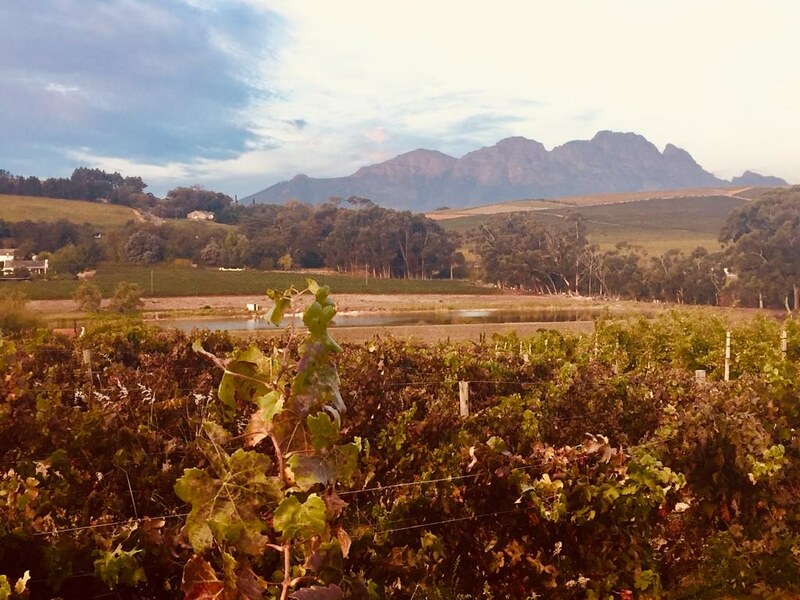 Alternatively, if you feel like a lazy brunch, Stellenbosch is only 6km away and there are several other establishments close by for either breakfast or dinner. We went to the historic Neethlingshof Wine Estate for dinner – follow the link for the review. If you prefer a night in, you can always order the cheese platter from Clos Malverne restaurant before it closes to enjoy with some delicious wine. -A pure bliss couple spa treatment (60 min full body Swedish massage and 30 min steam room). To book or enquire please get in touch with Michelle on 021 865 2022. The restaurant will be closed for maintenance from 17 June to 17 July 2019. 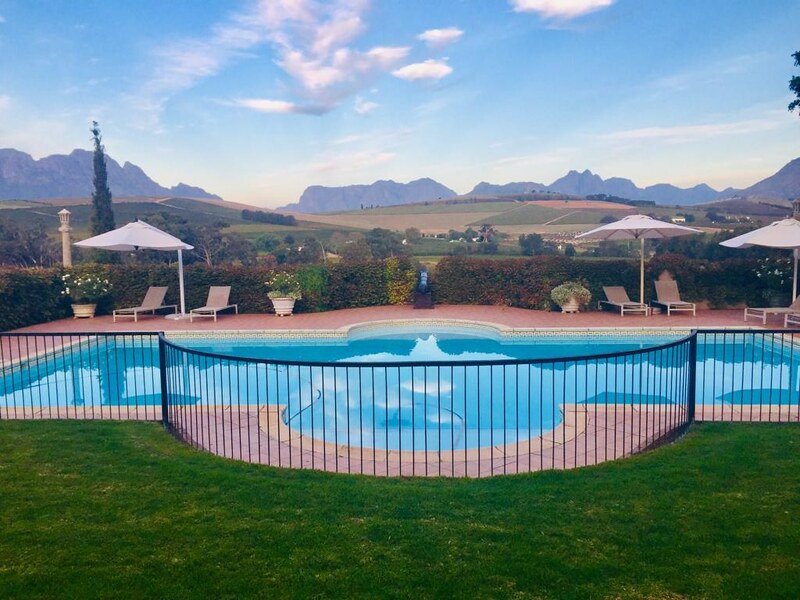 Do take the time to visit this wonderful wine estate – it has a lot to offer, not only with their variety of food and wine experiences but also in the stunning setting, the knowledgeable and helpful staff and the fantastic ‘value for money’ Lifestyle Package. At that price, you can tick it off your bucket list this winter, you won’t regret it. Next Article Neethlingshof – a wine estate with a very special story.